Back in the fall, my son’s Cubmaster gave us the pitch about selling popcorn as a way to help support the pack and in return we would get some nice perks too. One of those perks was my son would get to go the Museum of Science. So like good Scouts we sold what we had to and eagerly waited for when our pack would get assigned its night at the museum. I too was excited because I knew it was a parent and son program and something we could enjoy together. After all, I remember going to the Museum as a kid many times on school field trips and such but I never got to sleep over. I wonder if we can sleep under the T-Rex? I wonder if they still have the planetarium? Oh wow, I remember that lightning show being scary, so I hope my son is not freaked out. These were a few of the things that passed through my mind. So a few months later we got our date. Sat night in mid February. What I did not realize was MOST of the boys in my son’s Wolf Den were attending. Now fear was starting to set in. Were these little hellions going to be up all night? What if they break something priceless? What if they accidentally reprogram the museum’s computers? What if they take all the parents hostage and tie us up all night so they run free? All very legit concerns for this particular group of 7 and 8 year old boys. The afternoon had finally arrived and my son was very excited. He wore his full uniform to the museum, proudly adorning all his accomplishments for the year. We packed lightly but I was warned by more than one chaperone “bring an air mattress” so I did. We got to the museum, checked in and soon I saw that not only was I chaperoning the scouts from my son’s pack but more than 200 boys were there from around New England. Was I insane? 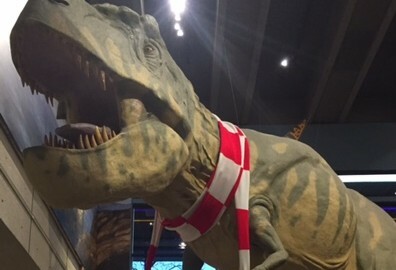 I was agreeing to spend the night in a science museum with 200+ little boys, surrounded by dinosaurs, relics of ancient civilizations, live animals and enough sugary snacks to keep them awake for a decade. Luckily I was pleasantly surprised…. We got to see an awesome demo on the history of animation. We enjoyed a live animal show. We explored the dinosaur hall and other exhibits. We saw the amazing indoor lightning show which was just as cool as I remembered. We learned about space exploration and the distance of planets in relation to the sun. We even got snack and all this before 11pm! Bedtime came and we all got our stuff. Air mattresses were being blown up everywhere you looked. One family had a setup complete with sheets, pillows and a comforter. It looked better than many rooms I have stayed in at 4 star hotels. I think they even brought slippers! I looked around and tried to find a spot near a power outlet so I could charge my cell phone. I set up our mattress and sleeping bags and quickly more and more boys kept coming over to my general area. Uh oh. Turns out the glass display on the other side of my sleeping area was the baby chicken hatching station. Lucky me. Three little guys decided that night would be their birthday! The kids were excited but as the night went on, those little chicks went from being cute to being thought of in a delicious buffalo sauce. They chirped and chirped and well, I did not get much sleep. But it’s for the kids right? Morning came and we got changed, got cleaned up as best we could and we got all our stuff packed away in our car. We were treated to a nice breakfast and a morning full of more activities….an Imax theatre film, a planetarium show, more exhibit halls, another live animal show. Good grief, they sure do pack it all in and 100% give you your money’s worth. By noon on Sunday, no matter how strong the iced coffee was from the café, I was all done and we needed to get going so we headed home. Cub Scout Charlie had another awesome experience and I lived to tell the tale. And I am so glad and thankful for my night with the baby chicks. To experience the wilderness? To be with friends? To challenge our skills? To explore? All of this, and something even more. Camping is pure. It’s an opportunity to strip away the pressure of the day and focus on more important things. As the Scoutmaster, you can leave the stress of work behind and focus on helping others. For the Scouts, they leave behind their school and part-time job concerns, desire for academic achievements, athletic competition, and social pressures. They are free to roam at camp like nowhere else (Obviously, we know where they are at all times, and they are in a safe environment). Within that wilderness space they can let go and explore. As a Council, we spend enormous time, effort and resources scheduling merit badges, building ropes courses, improving facilities, launching boats, and dozens of other activities that add up to “the program.” However, when the Scout comes home after the week at camp and his mom asks him what was the best part about camp, he says “I caught a frog!” Or “Billy laughed so hard milk came out his nose.” Two things he could’ve done on any given Saturday in the backyard. If that’s the highlight, why do we camp? So, why do we camp? It provides life changing opportunities and builds life-long bonds. Deeper than they first appear, and they fill our personal memory reservoir. Camp is a wonderful mixture of authentic challenges, metaphorical lessons, and unparalleled fun. The scouting community (Scoutmasters, Scouts, camp staff and the physical property) all work together – like a recipe to make the experience work. Building and developing the Northern Nexus and the Spirit of Adventure is an authentic challenge. It’s the challenge that makes the victory taste so sweet. We are glad to announce all the registrations for the much anticipated inaugural summer at Northern Nexus (Wah-Tut-Ca, Storer and Parker) can be found HERE. A little over 5 years ago, we got a call that our application to become pre-adoptive, foster parents was approved and our social worker had a little boy in mind for us to meet. Since we had just completed the state’s required classes and home study visits, we thought we would have to wait a lot longer so the call came as quite a surprise. Were we ready? What were we going to do with him? Would he like us? Would he get along with our dogs? So we forged ahead and figured this was part of some larger plan. We went to the house where Charlie was staying. He had just turned 2. It was the summer so he was running around with only a diaper on. He hid behind the couch and peeked around at us. He smiled and giggled and ran away to some other part of the house. Needless to say it was love at first sight. He was non verbal at that point but he knew various signs to tell us what he wanted. He quickly won his way into our hearts and shortly after came to live with us. 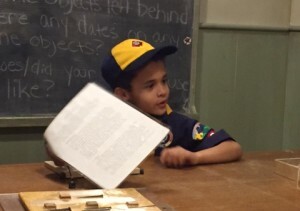 So when the opportunity came for my son to become a Cub Scout, I was so excited to bring him to the first meeting. Seeing him in his full uniform and a big smile across his face brought a little tear to my eye. At the first meeting, all of the parents decided to divide and conquer so we each would take turns with delivering the lessons and activities to the kids each month. Within a month, Charlie earned his Bobcat as well as his first belt loop and he was beaming to get those awards at the pack meeting from the Cubmaster (with proud dad standing beside him of course). If you have the opportunity to work closely with your child on anything, I suggest you grab it. If that opportunity is with Scouting, that is great. My mom and dad were not spectators watching my young life go by. They were involved, they cared, they took risks. They did stuff with me. I want to be that parent for my son and I encourage you to do the same. Not having children myself, I must admit I wasn’t sure what to expect of the parent/youth interaction… You don’t see a ton of this at Boy Scout resident camp, and, at an older age, you are definitely encouraging more independence from the youth. What I have observed over the last few years focusing on Cub Scout programming has been truly amazing, and life-changing for many families. By spending time with your child in Scouting, and allowing them to see you have fun learning new things alongside of them, you are creating a bond that you could not pay for later in life. So, as you think about Day Camp this summer, and are making those decisions around dollars and cents, schedules, daycare, and tax write-offs, think about the investment that you need to make in your child’s life. When you register your children for Day Camp this summer, why not take some of your vacation time to come play with them, and spend a few days smiling together? Spirit of Adventure Day Camps open for registration Saturday, January 16th, at 8am HERE. For more information, see our short video and our online magazine. Engage with our Facebook pages for the Chelmsford, Topsfield, and Greater Boston areas, as well as our premier camping facilities at New England Base Camp in Milton, MA, and Lone Tree Scout Reservation in Kingston, NH. Starting later this winter two local stores in the Northern portion of the Council will start providing limited Scout supplies, books and uniforms. How this will work: The Woburn location is considered to be the most central location – both geographically and based on traffic patterns for the council footprint. The location will now serve as a primary Scout Shop (600 Cummings Park suite 1250) and the business operations headquarters (600 Cummings Park suite 2750 – just upstairs) for Spirit of Adventure. Over time we will look to expand the sales floor for the Woburn Scout Shop to accommodate for the additional traffic. Council Service Center – who really uses the Scout Service Center? The new business format for Spirit of Adventure will minimize trips to the council office by all volunteers. Through use of technology, conference calls, video conferencing and a highly mobile staff we want every ounce of volunteer energy to go toward the Scouts – not spent in your car driving to an office. Our office staff will be all together in one building and they will serve as the nerve center for operations. A phone call to that location will provide quick and courteous answers about camp registrations, advancement concerns, membership questions, donations or training information etc. The Commissioned Staff will be out in the field – ready willing and able to meet with unit committees, community leaders, and others. Their responsibilities are to roll up their sleeves and dig into more detailed and complex situations that ultimately make SCOUTING THRIVE. Therefore during the day the space in Woburn will serve as a “hotelling” location for those commissioned staff in between meetings in the field. This provides maximum flexibility of the space (and a smaller footprint) so during the evening that same “office space” will be used for council and district meetings. The Egan Center and the New England Base Camp are the program delivery hub for Scouting across Eastern MA and soon New England. While we will maintain a small administrative staff in that location the majority of that highly valuable indoor space will be used for program delivery. Likely an improved STEM Center, Birthday party rooms, Handicrafts and other program features that’ll enhance the quality of the program. Camping is the cornerstone of all Scout Programs, and one of the primary reasons councils exist. Spirit of Adventure has listened to our unit leaders and re-tooled our camp properties to best suit the needs of our Troops, Packs and Crews. A typical pack has 2 -3 overnight experiences each year. Often one or two of those experiences are held at family attractions like the USS Salem, Museum of Science, Lowell Spinners or the Pawtucket Red Sox. Those are always fun and typically attract great participation from the Pack and all the family members. In addition to the over nights, Packs typically have a few one day activities – a hike, a parade, a service project etc. Based on the Cub Scout Adventures we anticipate more and more need for Packs to camp or provide quality outdoor program. Additionally, it’s in everyone’s best interest to have the highest number of participants at all Scout programs (especially camping) as each happy camper = happy Scout and happy family! Lone Tree is located in Kingston NH. It is available every weekend and has cabins and campsites. It’s a beautiful space with a great pond and a sports field. The program delivery at Lone Tree is dependent upon the parents in the pack. Like all weekend Boy Scout properties, it is a “do it yourself camp.” Therefore, it’s up to the parents in the pack bring the fishing poles and the fishing skill, so the boys can bait the hooks and go fishing (A Bear Goes Fishing). Or it’s up to the parents to bring the maps, compasses and GPS to teach land navigation (A Wolf finding his way). Camp Sayre in Milton MA has the New England Base Camp attached to it and through New England base Camp is a Full Service Camp. This location provides lifeguards, archery instructor’s, BB range instructors, Native American activities, Scout Craft, Science programs, outdoor cooking a full complement of equipment, as well as short-burst-intense-training for parents every weekend, as well as modern bathroom facilities. The easiest (year round!) place a wolf to take his Spirit of the Water Adventure! When making your Pack’s annual plan, think about a couple of outdoor adventure trips. Most commonly packs have an overnight trip in the fall and another trip in the spring. With the new requirements we anticipate packs camping more often. We recommend a carefully planned annual program with several camping and outdoor activities. Most commonly a pack with a robust camping program benefits from a ratio of 2:1 Lone Tree (DIY) to Sayre (Full Service) visits. The full service trip to Sayre, using Base Camp is great for brand-new families, never been in the outdoors before, or experienced Cub leaders learning new skills and setting the bar higher. In addition to great program it provides wonderful parent engagement opportunities. Those parents sitting on the sideline will more easily fall in love with Scouting, so the pack can engage those parents and families in future activities. Cub Packs, of course, come in all shapes and sizes with different ability levels. Sometimes they find one trip to New England Base Camp for every three trips to Lone Tree (or other DIY outdoor programs) others Packs are completely reversed. We would be happy to meet with your pack leadership to help develop your annual plan. Our Scouting representatives are well versed in the Cub Scout Adventures and the properties and programs across New England. They often know about special Scout deals for programs at attractions like Museum of Science or the Ecotarioum as well as all the programs offered through Spirit of Adventure Council. Contact us HERE to set up an annual planning conference. We recognize the traffic headaches for folks living north of Boston on their way to the New England Base Camp, and those living south when travelling to Lone Tree. Most commonly packs show up Saturday morning – no traffic. The Camp check-in begins as early as 7 AM and at New England Base Camp program opens at 10AM. Sometimes packs stay overnight, other times the program is best as a day activity and scouts go home Saturday night. Camp Sayre can be used as a “do it yourself” camp. But we don’t recommend it for that purpose if you live north of Boston. The Spirit of Adventure Needs YOU! Remember that Boston Globe article about ice climbing at New England Base Camp? We want your comments about this article and New England Base Camp in general! Head over to Facebook by clicking here, or on the image below. Please help us to “engage youth and parents in physical fitness and the outdoors, as well as helping youth from all walks of life increase self-esteem, confidence, and strengthen character” by telling us how we can do that! Why Wait until Christmas to Practice the Spirit of Giving? The core tenets of Scouting not only include self-improvement, but service to others. In your local community there are families and senior citizens without access to food or the regular comforts which can so often be taken for granted. As a Cub Scout, I remember showing up at a collection site where the Boy Scout Troop associated with my Pack had set up their drop-off point. My dad and I came to help sort the donations that were coming in throughout the day. Watching the older Scouts work, and helping them take individual donation bags and combine them into boxes was more fun than I could have ever imagined as a nine year-old. When we filled the entire bed of a pickup truck, I was amazed at how all this food had been collected, and there was still more streaming in – just from my neighborhood and the ones on either side of it. I had no real idea yet what a District or Council was, but I knew there were more than just my Cub Scout Pack and this Boy Scout Troop collecting…and I couldn’t fathom how much food was being collected! To this day, Scouting for Food is my favorite of our service projects, because it highlights the impact a small group of people can have on a community, and a community’s impact can have on a larger population. The Scouting for Food initiative is your opportunity to provide relief for those who need it most! On the first Saturday in November (11/7/15), Cub Scouts, Boy Scouts, and the many local volunteers will deliver Scouting for Food door hangers throughout their local neighborhoods. A week later (11/14/15), Scouts will return to collect the donated non-perishable food items left outside, and bring them to a centralized drop-off location within their community. Please avoid accepting glass items. Door Hangers will be available for pick-up at your local Scout office or soonest District Roundtable. Click here to let us know how many hangers you expect to need, and where you intend to bring food to. When distributing door hangers, be sure that your Scouts use the buddy system and have adequate Adult supervision. Determining and assigning distribution territory beforehand is highly recommended, and, naturally, make sure everyone is in their uniform! Remember, distribute to residences only, skipping businesses or apartment buildings with controlled entrances or rules against solicitation. And, most importantly of all, DO NOT ENTER ANY HOME FOR ANY REASON. For questions, please contact your District Scouting for Food Chairperson, your local Scout Office, or Staff Advisor Jim Garrett. 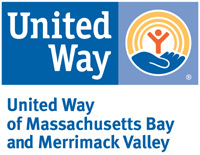 Your local food banks, pantries, and soup kitchens pantries do amazing work, but they can’t do it alone, so please grab ahold of this amazing opportunity to make a very real difference in someone’s life.